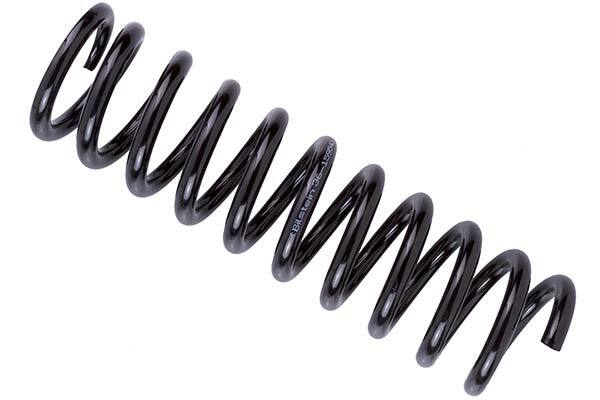 Bilstein B3 Coil Springs - OE Replacement Springs - FREE SHIPPING! If your ride-quality has suffered lately, the best way to regain that old ride-quality is with a quality upgrade. Bilstein B3 OE Replacement Coil Springs should do the trick, as their unyielding OE-grade design is made to match the original setup, and their long list of technical features – including pigtail ends, minibloc shapes and a central force design – is enough to make even the pickiest fine-tuner sigh with satisfaction. High-quality chrome vanadium or chrome silicon steel construction makes these springs more resistant to breaks than competing models. Surface compression and coating ensure years of reliable performance, and the hot setting process after forming was done to prevent height loss. Made in the USA and German TÜV-certified, your Bilstein B3 OE Replacement Coil Springs carry a limited lifetime warranty. Reference # 753-505-223 © 2000-2019 AutoAnything, Inc.